Price Reduced at the Minturn Racquet & Trout Club! 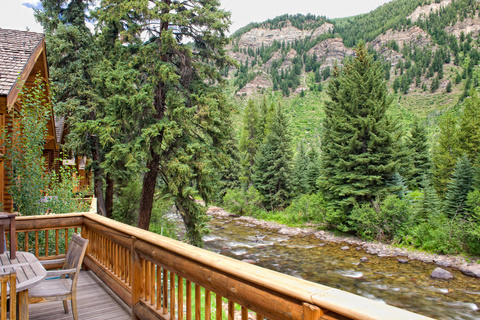 1876 Cross Creek Lane at the Minturn Racquet & Trout Club recently had a price reduction to $1,149,000!!? Thats equates to a $101,000 improvement on a stunning log home on the Eagle River at the south end of Minturn, CO.
Winter has arrived here in the Vail Valley just in time for Vail's opening weekend!!? The ski area has over 1000 acres open; basically the whole front side of the mountain and Game Creek bowl are available to ski.? And the forecasters are calling for MORE SNOW; high likelihood of snow Sunday 11/21 through Thurs. 11/24. Read more about Price Reduced at the Minturn Racquet & Trout Club! Gorgeous Colorado Log Home on the Eagle River, outside Vail, Colorado! The Rainbow Trout Lodge is situated on 1.83 acres along the banks of the Eagle River.? This luxurious 4 bedroom has unrivaled outdoor living with an expansive covered deck with a cozy moss rock fireplace, a sandstone terrace that is highligted by a wood burning fireplace, and the elaborate outdoor lighting system outlines the riverbanks and hightlights the trees and gardens, creating a breathtaking nightime oasis. 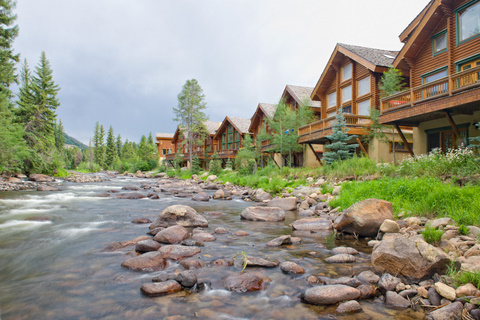 Read more about Gorgeous Colorado Log Home on the Eagle River, outside Vail, Colorado! Located above Red Sky Ranch Golf course, in Bellyache Ridge,?this gorgous four bedroom Colorado Custom Log Home is situated on 1.8 acre treed home site.? Log Cabins On The Eagle River in Minturn,CO! The Eagle River is absolutely beautiful as it winds its way through Minturn, Colorado and past the log cabins of the Minturn Racquet and Trout Club.? Kayakers, rafters and fly fisherman all enjoy its cooling waters,? picturesque backdrop,?and abundant aquatic life.? And so do owners of these well appointed log cabins, as the river is literally just outside your backdoor. While sitting on the deck of either 1874 Cross Creek Lane or 1876 Cross Creek Lane, the views, the sounds of the river, the mountains, and the wildlife take precedence and the worries of daily life fade away. Read more about Log Cabins On The Eagle River in Minturn,CO! Colorado Log Homes in the Vail Valley! Here are 2?beautiful log homes in the heart of the Vail Valley in central Colorado!? Designed and?manufactured by Honka Homes, based in Finland, these stunning single family log cabins sit right on the Eagle River in southern Minturn, CO.? 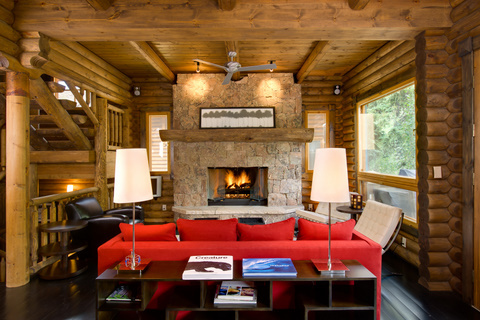 Read more about Colorado Log Homes in the Vail Valley! Log Homes in Minturn, CO On Open House Saturday 8/21/10! 2 stunning log homes at the Minturn Racquet & Trout Club will be available to view on Saturday, 8/21/10 from?noon-?4 pm!? 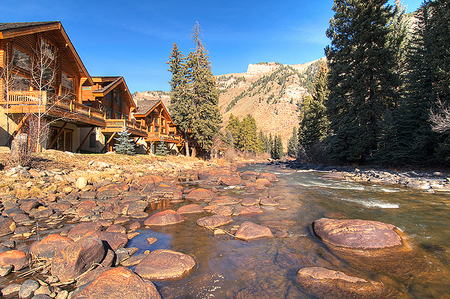 Come see these single family log cabins that sit?ON the Eagle River in southern Minturn, right here in the Vail Valley. Read more about Log Homes in Minturn, CO On Open House Saturday 8/21/10! Colorado Log Home On The Eagle River! For many of us here in Colorado, a log home on a river is what we dream about.? And right here in the Vail Valley, there is?a?newly listed log cabin?in Minturn, Colorado sitting ON the Eagle River!? 1876 Cross Creek Lane is now available for purchase, offered at $1,250,000? PRICE REDUCED to $1,149,000.? The gorgeous kitchen has slab granite counters, alder cabinets, a Wolf?range and hood, a SubZero refrigerator, an undermount stainless steel sink and lots of storage. Read more about Colorado Log Home On The Eagle River!